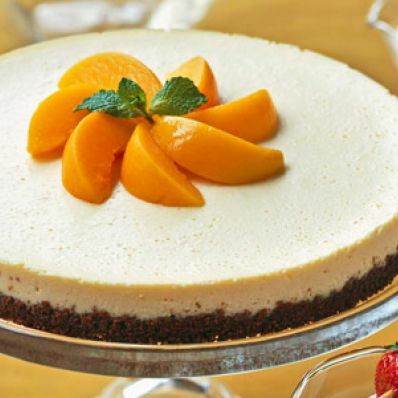 This low-calorie cheesecake recipe brings to mind the sublime combination of peaches and cream. Because it is made with canned peaches, there's no need to wait for peach season to enjoy this guilt-free dessert. 1 of 7 Heat oven to 375 degrees F. Coat 9-inch springform pan with nonstick cooking spray. Wrap outside of springform pan completely with heavy-duty aluminum foil. 2 of 7 Combine cracker crumbs and melted butter in a bowl. Press over bottom of prepared pan. 3 of 7 Puree cottage cheese and reserved 1/4 cup peach juice in blender or food processor until smooth, about 1 minute. Add cream cheese, vanilla, lemon juice and 3/4 cup of peaches. Blend until smooth. Add sugar and egg whites. Blend until well combined. 4 of 7 Pour cheese mixture into prepared springform pan. 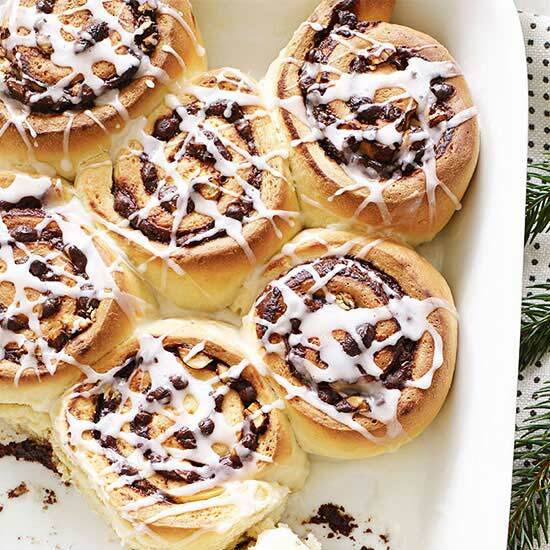 Place springform pan in 13 x 9 x 2-inch baking pan. Place pans on rack in oven. Carefully pour enough hot water into 13 x 9 x 2-inch pan to come halfway up sides of pan. Be careful not to splash water between foil and pan. 5 of 7 Bake in 375 degrees F oven for 40 to 45 minutes or until cheesecake is set in center. 6 of 7 Carefully remove both pans from oven. Carefully remove springform pan from water bath to wire rack. Discard the water in the baking pan. Carefully remove foil from springform pan. Cool cheesecake in pan on wire rack for 30 minutes. Then place in refrigerator until thoroughly chilled, about 4 hours. 7 of 7 Top with remaining 1/2 cup peaches and fresh mint leaves if desired.